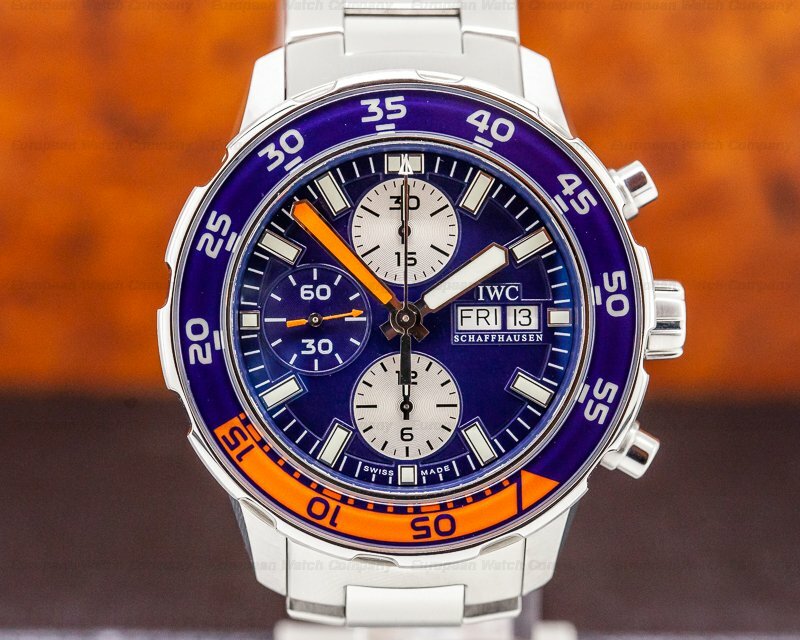 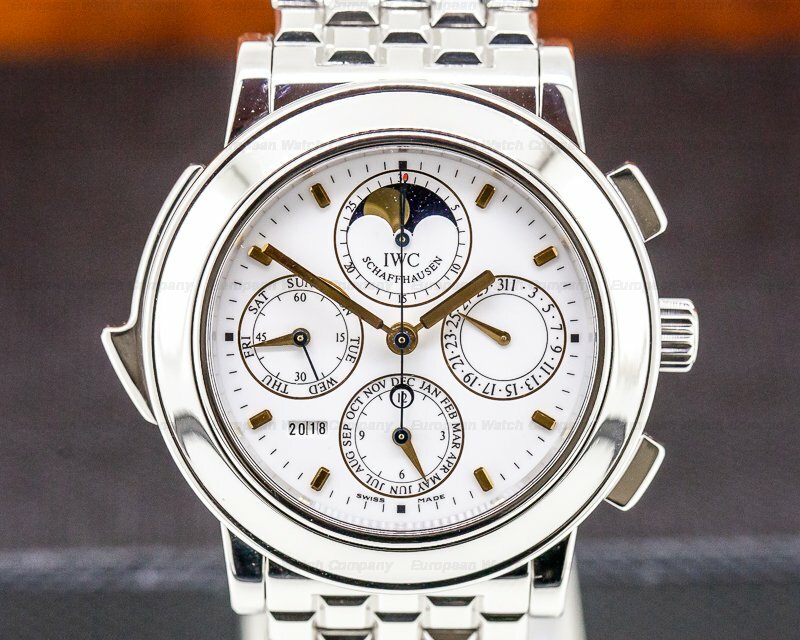 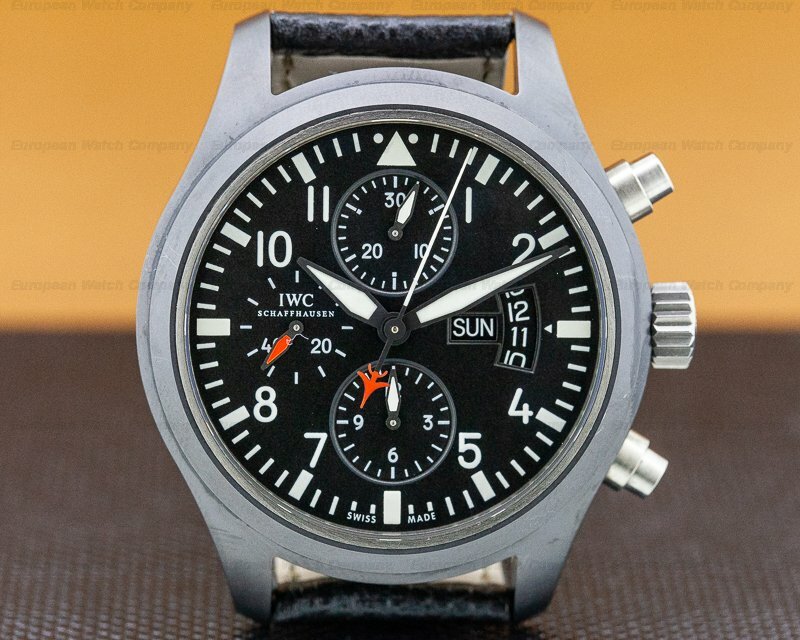 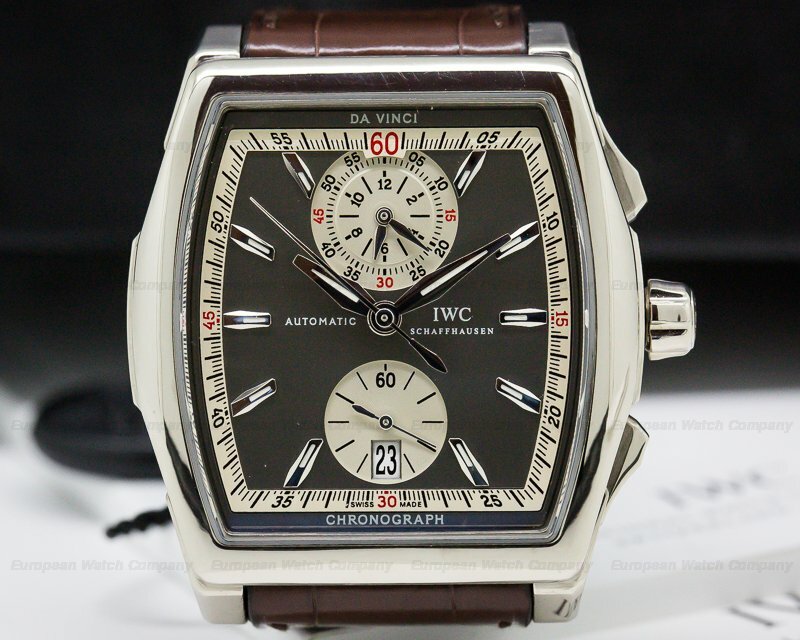 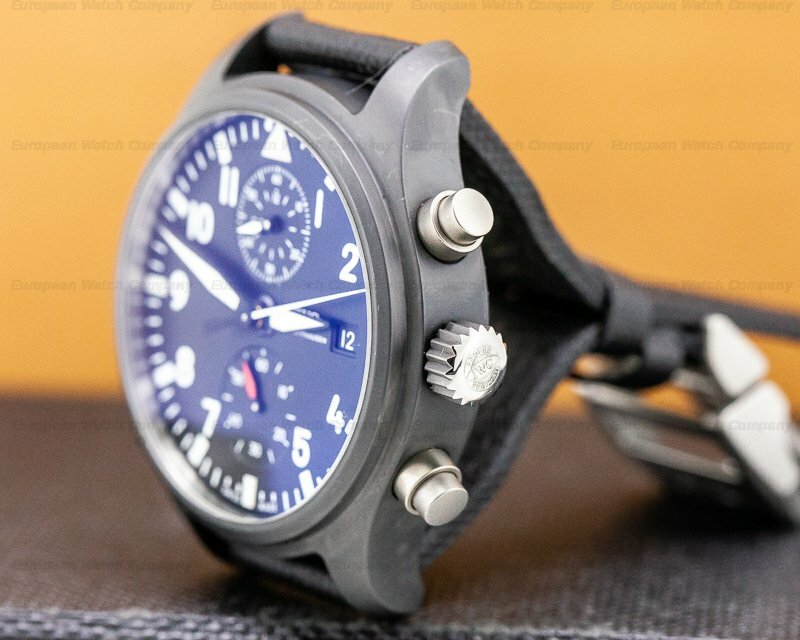 This is a ceramic/titanium IWC Top Gun Chronograph IW389001. 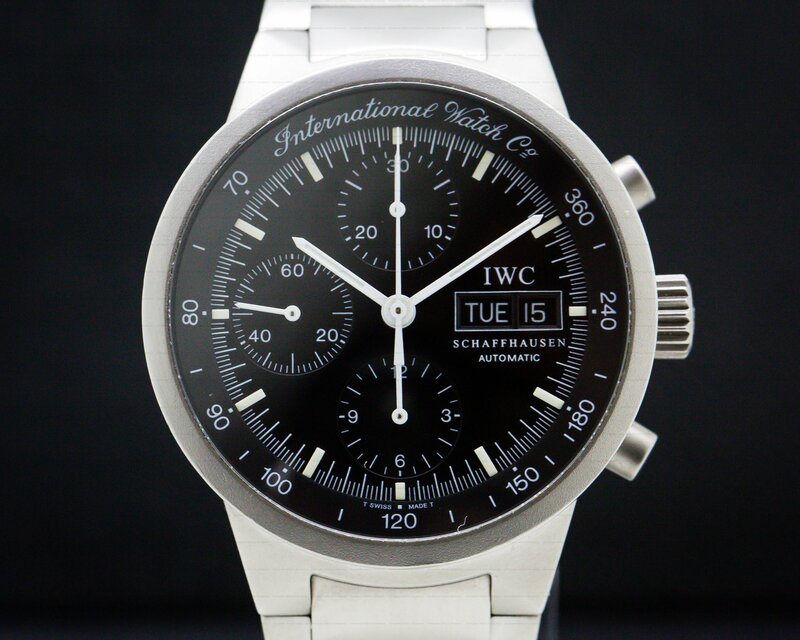 The two-body case is ceramic while the case back is titanium. 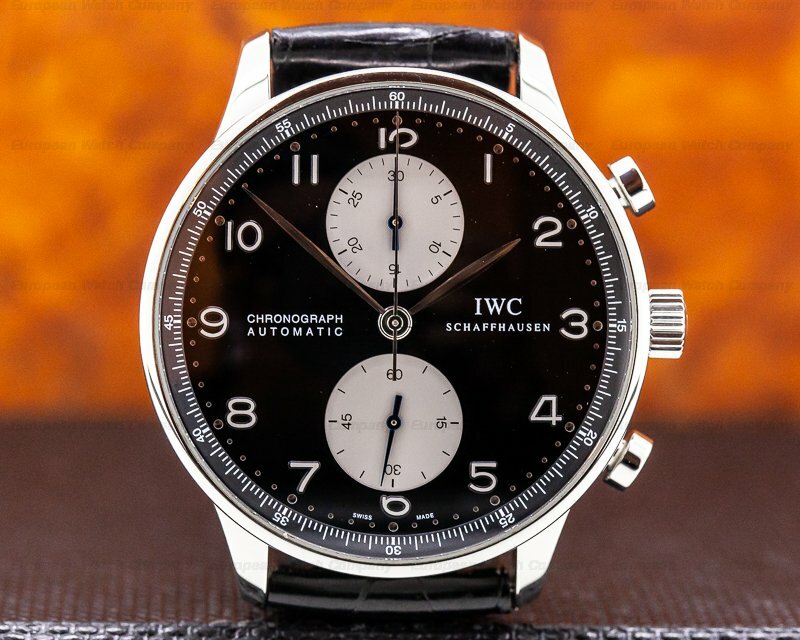 There are round pushbuttons for the flyback chronograph with its stopwatch function with minutes and seconds. 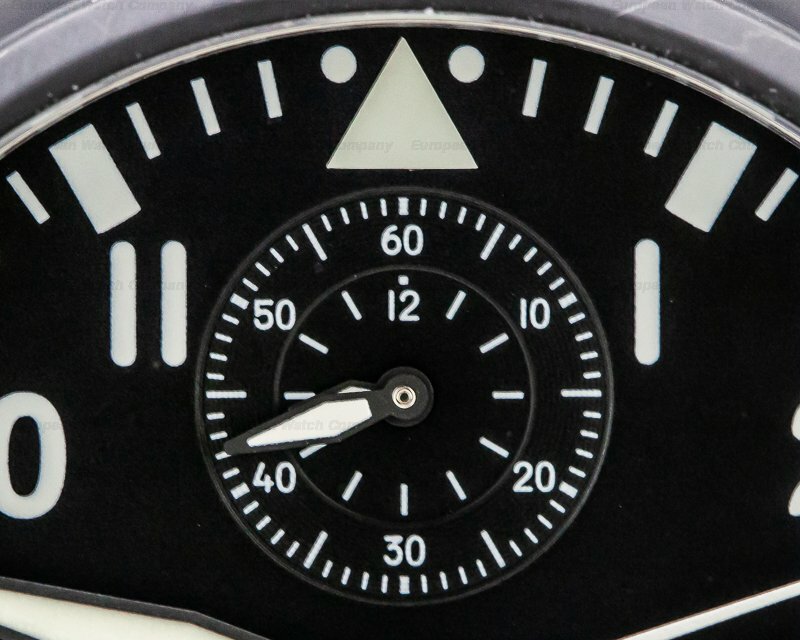 Adhering to a military color theme, the dial is black with luminous feuille hands and luminous Arabic numeral minute markers and indexes. 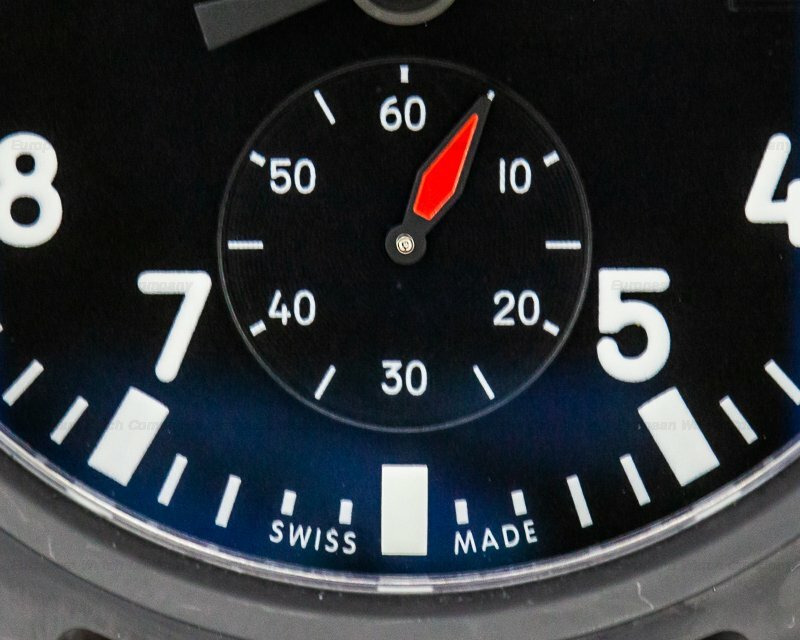 The convex sapphire crystal has antireflective coating on both sides, and it's secured in flight against displacement by large drops in air pressure. 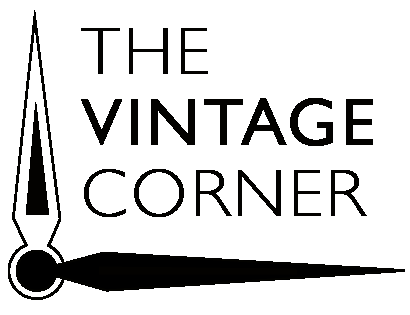 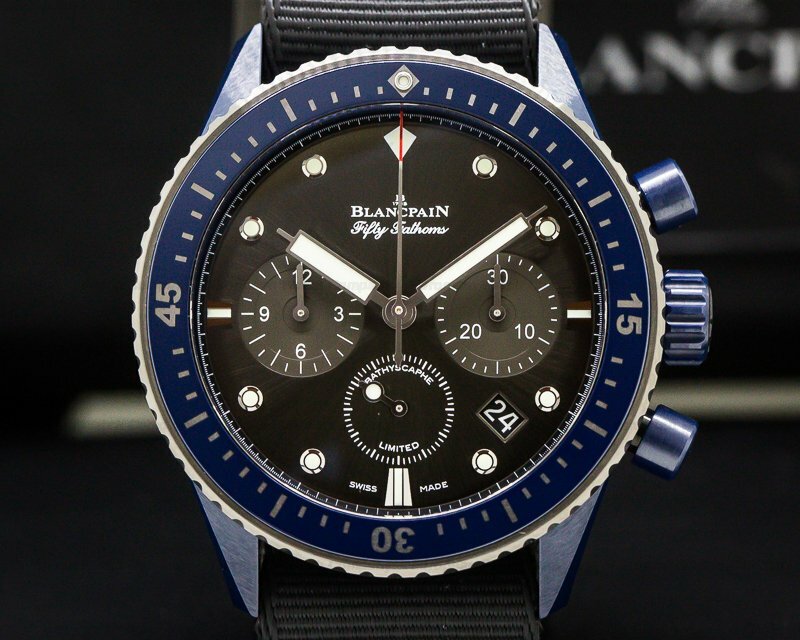 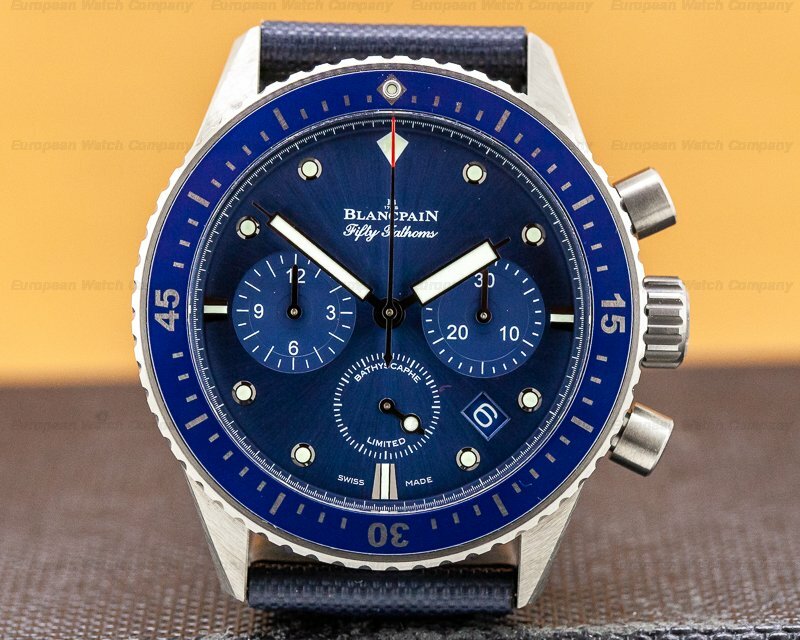 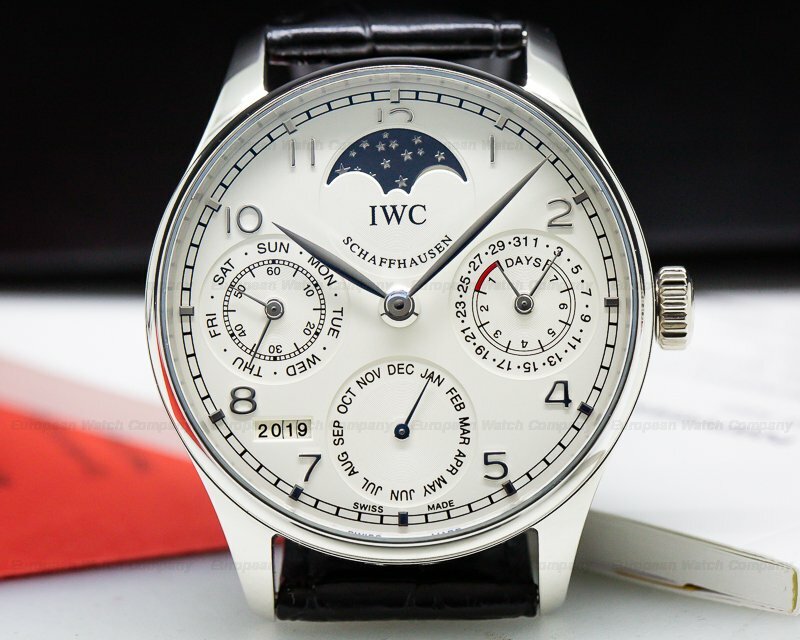 It has a screw-down crown, a small seconds subsidiary dial is at 6 o'clock, a date aperture is at 3, and a 60 minute counter is at 6 o'clock. 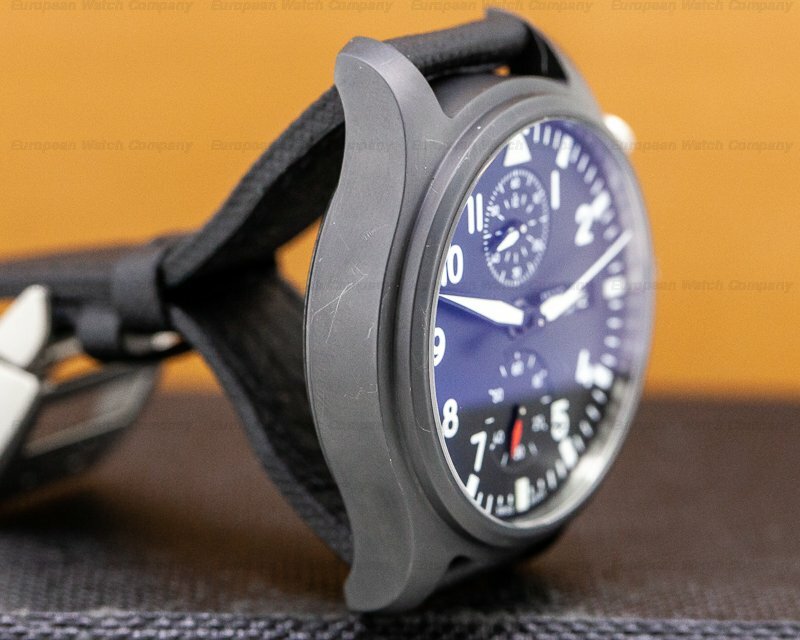 It has a soft iron inner case for protection against magnetic fields, and it's water resistant to 60 meters. 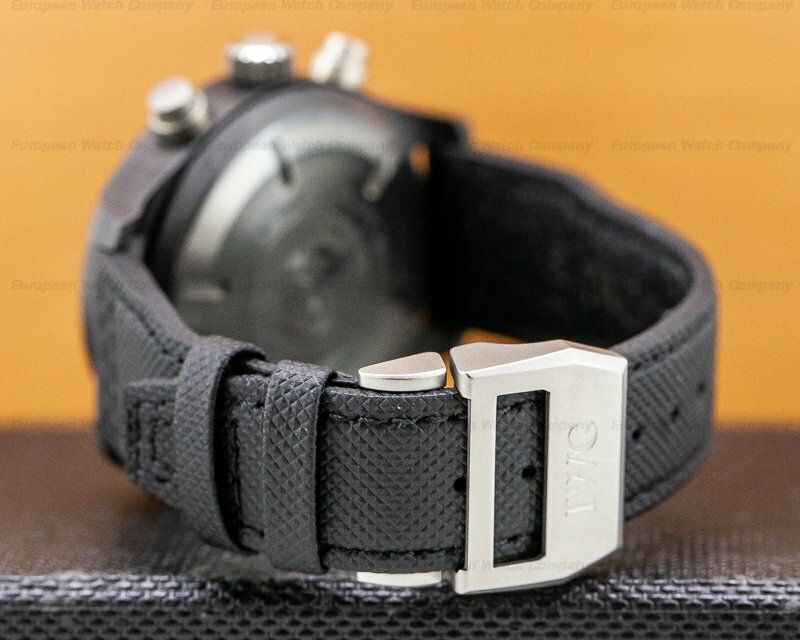 It has a 68-hour power reserve when fully wound, and a black Kevlar and calfskin strap with a stainless steel deployant buckle. 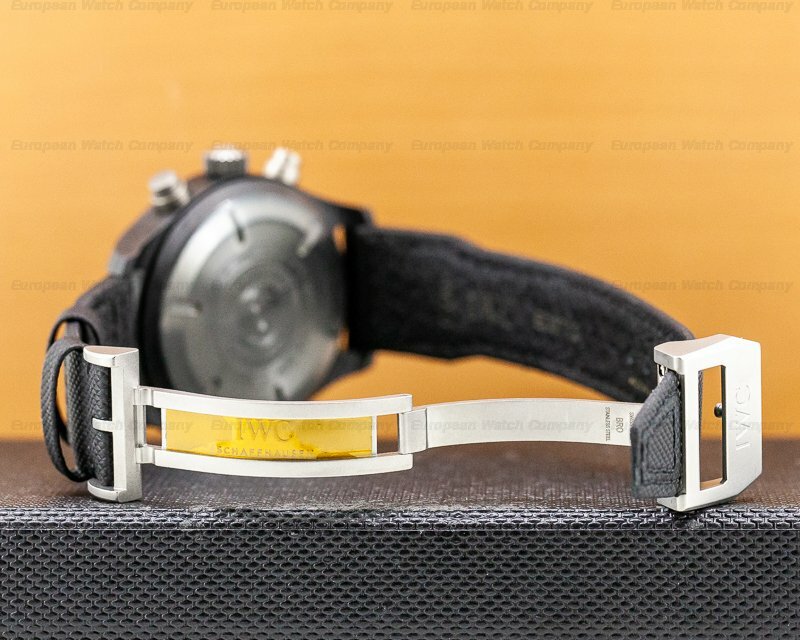 The 15.5lmm thick case, dial, and movement are all signed. 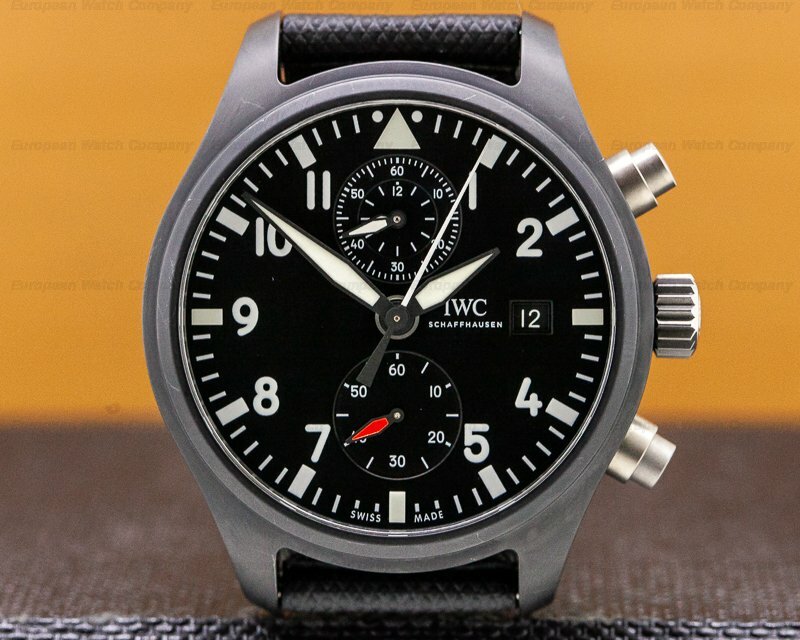 This IWC Top Gun Chronograph IW389001 has a mechanical IWC automatic winding calibre 89361 movement that's rhodium plated with fausses cotes embellishment. 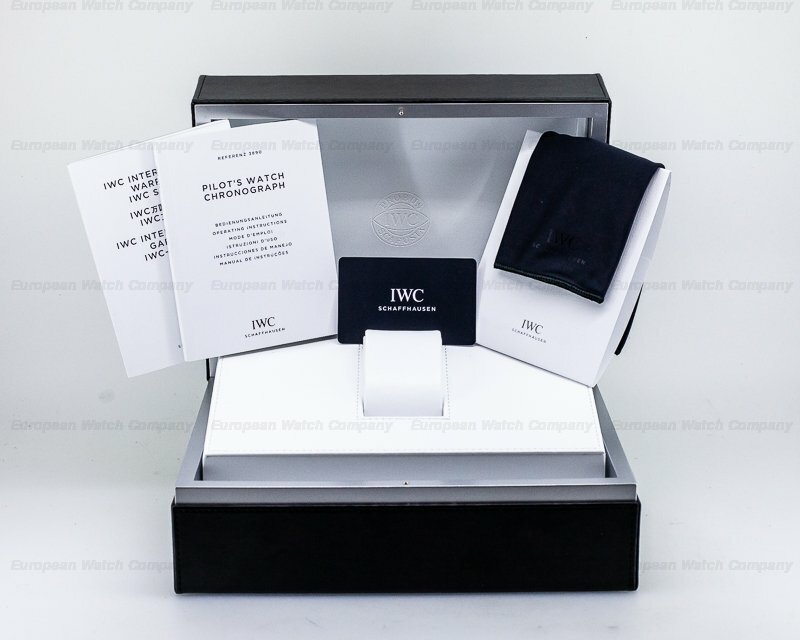 It's constructed with 38 jewels and small hacking seconds. 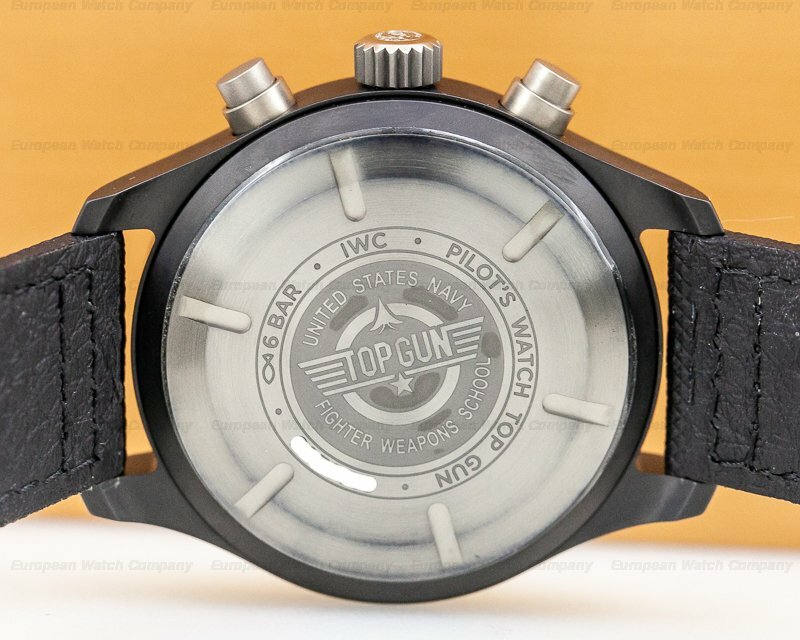 The case, dial, and movement are all signed, with the case back embellished with deep relief engraving sporting the legend, "Top Gun - United States Navy - Fighter Weapons School". 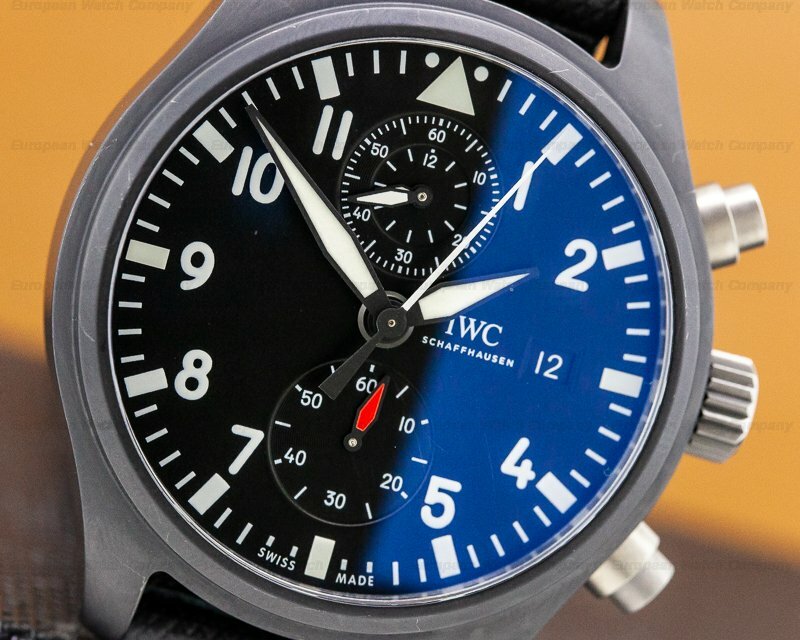 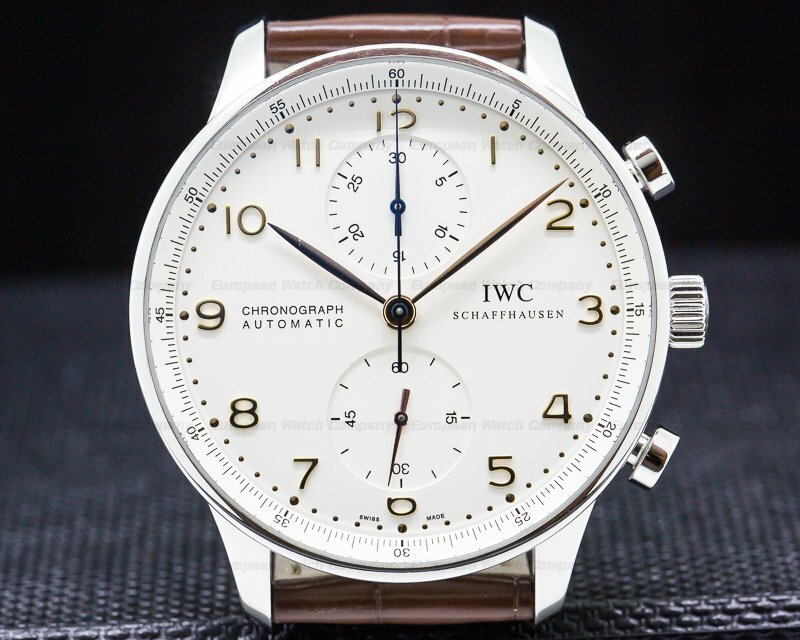 IWC Pilot's Watches have been produced since 1936.